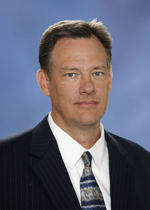 DALLAS, TX — (December 20, 2013) — Mohr Partners is pleased to announce that Kurt North, Managing Director in Mohr’s Dallas office, has been appointed to the City of Frisco’s Comprehensive Advisory Committee (CPAC) to update the city’s Comprehensive Plan. Mr. North was selected by the Frisco City Council from a candidate pool of 60 applicants to continue the City’s tradition of citizen involvement in the development of award-winning plans. The City of Frisco first adopted a Comprehensive Plan in 1982, with updates in 1991, 2000 and 2006. The 2006 Comprehensive Plan contains demographic and historical summaries, Visioning, Principles & Actions, and Strategies, and provided critical guidance while the City of Frisco was one of the fastest-growing communities in the country, growing 250 percent between 2000 and 2010. The update of the Comprehensive Plan will reevaluate and update elements, and also provide research and innovative strategies to be addressed in coming years as the City of Frisco continues to grow and adapt. Mr. North joined Mohr Partners in late 2012, bringing over 15 years of experience providing development, management, leasing and client services in office, healthcare, industrial and mixed-use properties. Prior to joining Mohr, Mr. North was President of North Pointe Commercial Realty Services, LLC for over a decade, where he provided market expertise and deal experience to hundreds of clients in the Dallas area. Before founding North Pointe, Mr. North was an Office Leasing Broker at Trammell Crow Company where he was responsible for the leasing and marketing of over 2 million square feet of office properties in the Dallas area. He began his career in the real estate industry with Trammell Crow as a Financial Analyst for DFW development group. He developed the financial model used in the development of over $200 million in new construction development in the Dallas area. This model was later adopted and used for several deals across the nation and by some institutional investors to evaluate opportunities.